October Birthdays – A Three-Part Series! Three of the dearest people in my life have birthdays one day right after the other. This generally translates to either me not producing any cards (they all happen at once!) or making an attempt at them, but mailing them late. This year was no exception, and now they’re finally all going out in the mail! The first card up for the three part series is going to my undergraduate advisor from college. I had wanted to find a use for this gorgeous stamp, so I tried coloring on it with marker before stamping. It didn’t turn out FANTASTIC, but I like the effect nonetheless. After stamping it in marker, I stamped over it with VersaMark (thank you Stamp-a-ma-jig), and embossed it with clear embossing powder. 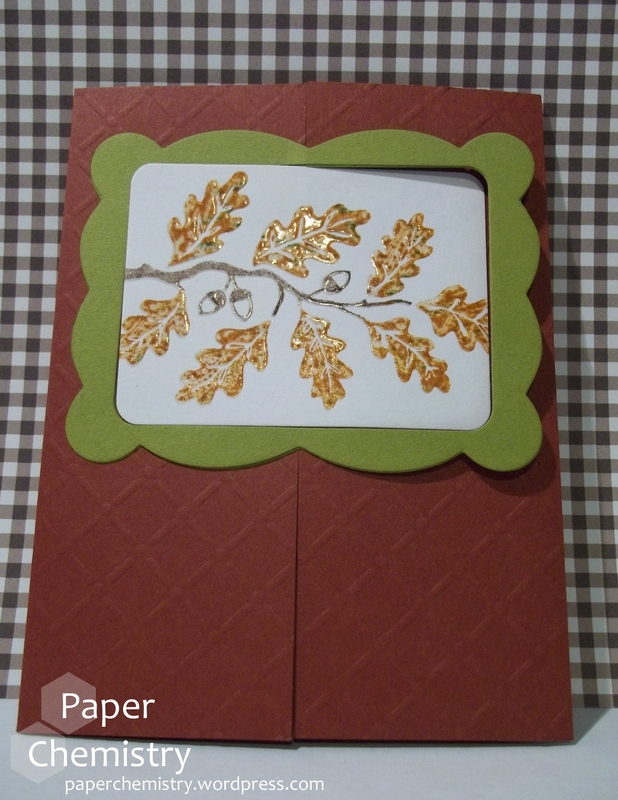 The embossed branch sat on a piece of paper for a while before I determined what would happen with it next. 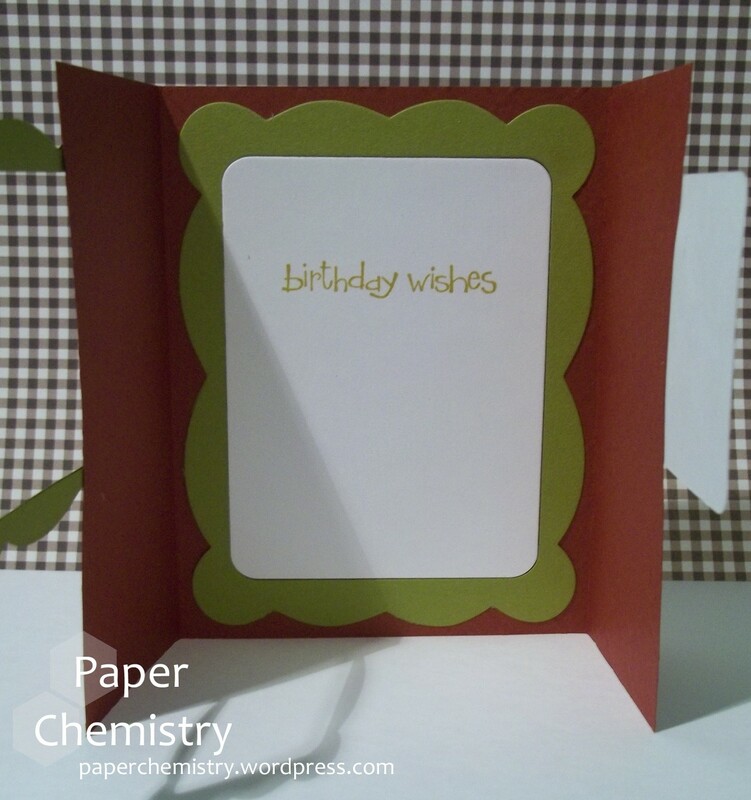 It ended up in a frame, and then at my PICC’s suggestion I went with a gate-fold card. I really love the way everything turned out in the end! Do you have friends with birthdays or holidays that are close together? I know if I thought ahead I could avoid the October 12-14 rush, but I just never seem to get that far.